Make a statement with this John Hardy braided bracelet from the Classic Chain collection. 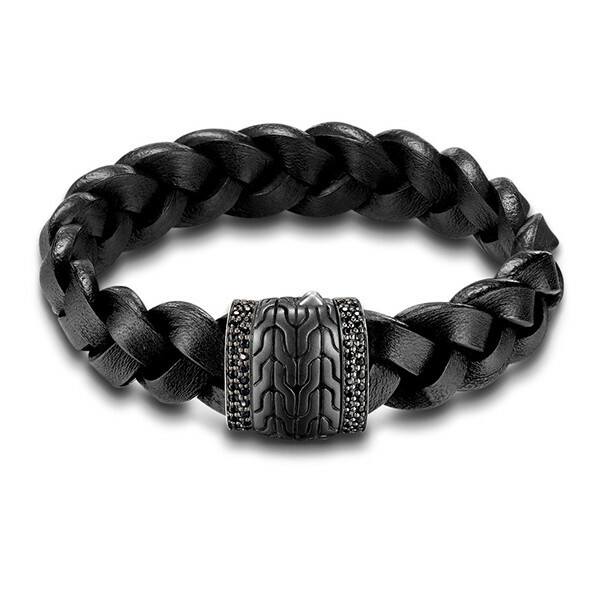 Supple black leather is woven together to create this 17mm bracelet. The station has John Hardy's infamous chain motif carved into the silver and black bronze with black sapphires lining the edges. It also doubles as the clasp. The handcrafted bracelet is designed with flexibility to lay comfortably around your wrist. Elevate your style to new heights with this John Hardy treasure.